Let’s first be honest here: Adulting is hard. From work to exercise, cooking and cleaning, running errands and managing relationships, adult is tough. While it’s an obvious statement to say that being an adult is challenging, there’s one aspect of grown-up world that can be particularly challenging: personal finance. Even after going to college and taking finance classes, you may still feel uncertain about what all those financial terms (and there’s a lot of them) actually mean. Unfortunately, this uncertainty could mean missing out on the potential to grow your money. Don’t worry — you don’t need to know everything to be successful with your money — just the basics. And we’re here to help. We know that your finances doesn’t come with a technical-support hotline, so we put together a glossary of 32 money 101 terms you need to know. Whether you’re confused about mutual funds or not sure what compound interest, exactly, is good for, this cheat sheet will help you get up to speed. 1. Compound Interest Think of it as “interest on interest.” When you’re investing or saving, this is the interest that you earn on the amount you deposit, plus any interest you’ve accumulated over time. When you’re borrowing, it’s the interest that is charged on the original amount you are loaned, as well as the interest charges that are added to your outstanding balance over time. 2. FICO Score A number used by banks and other financial institutions to measure a borrower’s creditworthiness. FICO is an acronym for the Fair Isaac Corporation, a company that came up with the methodology for calculating a credit score based on several factors, including payment history, length of credit history and total amount owed. FICO scores range from 300 to 850, and the higher the score, the better. People with scores below 650 may have a harder time securing credit at a favorable interest rate. 3. Minimum Balance This is the balance required to keep an account open and earning interest, without paying any fees. 4. Net Worth This can simply be defined as the difference between your assets and liabilities. You can calculate your net worth by adding up all of the money or investments you have (including the current market value of your home and car), as well as the balances in any checking, savings, retirement or other investment accounts. After you have this number, subtract all of your debt, including your credit card balances, mortgage balance, and any other loans. The resulting number is your net worth number. 5. ACH Transfer a fancier way of saying electronic transfer between banks. 6. Interest rate In banking terms, interest rates are the amount the bank pays you in interest (percentage) for having your money there. 7. Overdraft If you have never experienced this, you are one smart cookie. Overdrafting happens when you spend more money than is available in your checking account. Many banks charge a hefty fee for this or automatically deduct money from your banking credit card if you have one. Watch out for this. 8. Asset Allocation The process by which you choose what proportion of your portfolio you’d like to dedicate to various asset classes, based on your goals, personal risk tolerance and time horizon. Stocks, bonds and cash or cash alternatives (like certificates of deposit) make up the three major types of asset classes, and each of these reacts differently to market cycles and economic conditions. Stocks, for example, have the potential to provide growth over time, but may also be more volatile. Bonds tend to have slower growth but are generally perceived to have less risk. A common investment strategy is to diversify your portfolio across multiple asset classes in order to spread out risk while taking advantage of growth. 9. Stocks In the simplest terms, stocks are part owners of a publicly traded company. Also called equities or shares, stocks give you ownership in a company. When you buy stocks, you become a company shareholder, giving you a claim on part of that company’s assets and earnings. 10. Bonds Commonly referred to as fixed-income securities, bonds are essentially investments in debt. These are often considered safer than stocks. In short, they are a debt instrument— like an “I owe you” — and often a set percentage interest rate is paid back to you. When you buy a bond, you’re lending money to an entity, typically the government or a corporation, for a specified period of time at a fixed interest rate (also called a coupon). You then receive periodic interest payments over time and get back the loaned amount at the bond’s maturity date. Bond prices tend to move in the opposite direction of interest rates — that is, when interest rates rise, bond prices typically fall. 11. Capital Gains This is the increase in the value of an asset or investment — like real estate or stock — above its original purchase price. The gain, however, is only on paper until the asset is actually sold. A capital loss, by contrast, is a decrease in the asset’s or investment’s value. For tax purpose, you pay taxes on both short-term capital gains (a year or less) and long-term capital gains (more than a year) when you sell an investment. 12. Rebalancing This is the process of buying or selling investments over time so you can maintain your desired asset allocation. For example, if your target allocation is 60% stocks, 20% bonds and 20% cash, and the stock market has performed particularly well over the past year, your allocation may now have shifted to 70% stocks, 10% bonds and 20% cash. If you wanted to return to that 60/20/20 asset allocation, you’d have to sell some stocks and buy some bonds. 13. Diversification– This is having money in investments that are not correlated with each other. Examples of ways to diversify include stocks in different companies, sectors, or regions of the world; bonds, real estate, commodities, and even cash. 14. Mutual Funds Essentially, these are actively managed baskets of securities (stocks/bonds). A mutual fund might have 500 different stocks with an active manager working to get the best return. 15. S&P 500 Short for the “Standard & Poor’s 500 Index.” The company was so named when the Standard Statistics Co. merged with Poor’s Publishing in 1941. The index (a measurement that looks at a set of stocks and tracks their performance) includes the 500 US companies with the largest total value (market capitalization). So when you hear “The S&P 500 is up 4%,” that means that the values of the 500 biggest companies in the country have gone up by a (weighted) average of 4%. You can’t invest in a stock market index directly, but you can invest in a fund that’s built to look like one. And because they include so many companies from lots of different industries, that strategy can add diversification to your investment portfolio. 16. ETFs Unlike mutual funds, ETFs are a passively managed basket of securities. Instead of paying a fund manager to buy and sell, ETFs are just a basket of securities that track a specific index. A well-known example of an index is the S&P 500. 17. Defined-Benefit Plans These are employer-sponsored retirement plans, such as pensions, in which the employer promises a specified retirement benefit based on a formula that may include an employee’s earnings history, length of employment and age. The employee may or may not be required to contribute anything to the plan. Defined-benefit plans high costs which is why many companies no longer offer this type of benefit. 18. Defined-Contribution Plans A retirement plan companies may offer as a job benefit, which lets employees contribute some of their own money into an account for retirement. The employer may also choose to match a certain amount of those contributions. The 401(k) and 403(b) are the most common forms of defined-contribution plans. The money that goes into these accounts also typically provide a tax benefit, as long as you don’t make withdrawals prior to retirement age (age 59½ or older). 19. Executive Compensation These packages are typically negotiated individually and spelled out in employment contracts. The pay and benefits package provided to senior executives, which is usually different from what’s offered to the typical employee. Executive compensation often includes a base salary, bonuses, incentives based on the company’s earnings (such as stock options), income guarantees in the event of a sale or public stock offering, and a guaranteed severance package. 20. Roth IRA This is a retirement account funded with after-tax dollars. This means the funds were taxed in the year the money was earned and contributed, so it will grow tax-free. 21. Roth 401(k) Like a Roth IRA, this retirement account is funded after-tax dollars and grows tax-free, but is sponsored by your employer who often matches a percentage of your contribution. 22. Traditional IRA At retirement account funded with pre-tax dollars and will grow tax-deferred until it is distributed during retirement. 23. Traditional 401(k) Again, this is just like a traditional IRA but is sponsored by your employer. 24. Required Minimum Distribution A minimum amount that must be withdrawn from an IRA and 401 Ks (not Roth) once you’ve reached the age of 70 ½. Once you withdraw your money in retirement, you are taxed. This is mandated by the IRS. 25. Contribution Limit This is the maximum amount of new money you can put into a retirement account in a given tax year. If you have an IRA sitting there, and you want to get it to a place where you can track it, how about starting now? 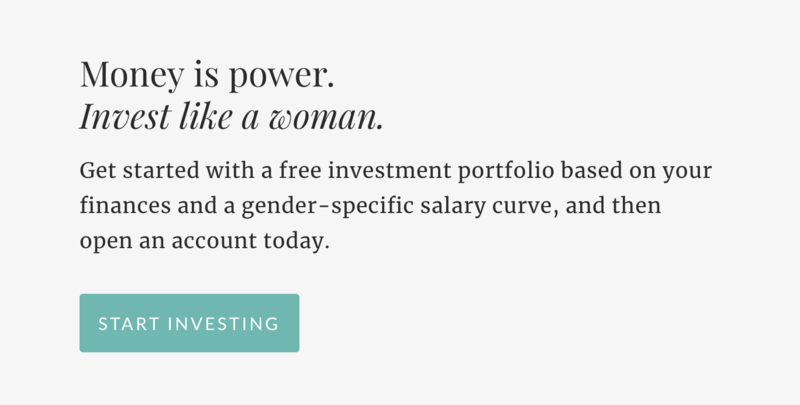 Ellevest, a wealth management platform targeting women, can help. 26. Credits For tax purposes, credits reduce how much you pay dollar for dollar. 27. Deductions These reduce the amount of income you have to claim on your income taxes. Examples of deductions include student loan interest, mortgage interest, retirement account contributions, and charity donations. 28. Withholding This is how much of your income you set aside for the state and federal government taxes each year. This should be based on how many allowances you have. It’s best to set up your monthly withholding to come out of your paycheck, so that, come April, you’re not surprised with a giant amount owed. 29. AGI Short for adjusted gross income, AGI is calculated as your gross income (e.g., what you earn from your job, a pension or from interest on investments) minus certain IRS-specified deductions. The way to calculate your AGI is from your Form 1040 when you file your taxes. Your AGI serves as the basis for helping to determine your taxable income as well as whether you qualify for certain credits or deductions. 30. Dependent A person who is financially dependent on your income, typically a child or an adult relative you may support. You may be able to claim certain tax credits or deductions for these dependents on your taxes. 31. Itemized Deduction A qualified expense that the IRS allows you to subtract from your AGI that helps further reduces your taxable income. Itemized deductions can include mortgage interest you paid, medical and dental costs, or gifts to charity. Itemized deductions must be noted on IRS form Schedule A. 32. Standard Deduction A standard amount that can be used to reduce your taxable income if you decide not to itemize your deductions. Your standard deduction is based on your tax-filing status, and it’s the government’s way of ensuring that at least some of your income is not subject to tax. Interested in some advice specific to yourself? For most of us, our 20s the decade of adulting, including with our money. So where do you start? 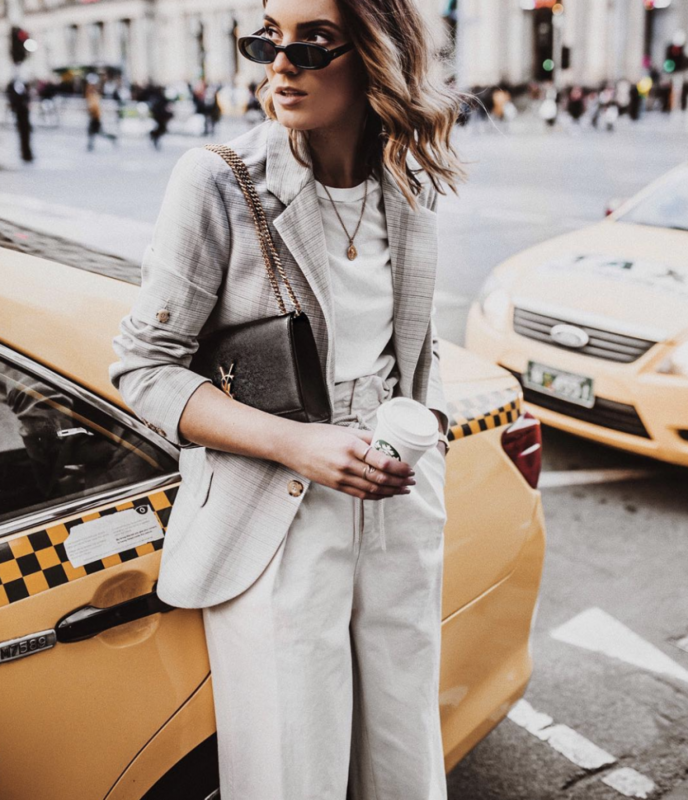 Here’s a roundup of seven steps to take now, from our friends at Ellevest. Ready to take control of your financial future? Sign up to get your free financial plan now.